It’s a good thing I had a productive Sunday, since I suspect I’ll be just skating by for the next few days. I’m fairly sure my nose has been shoved full of cotton and a mid-size sedan is trying to drive out of my head from just behind my eyes. Yes, I fear I’m getting sick. This does not bode well for Monday. Moms really can’t get sick. It’s not allowed. 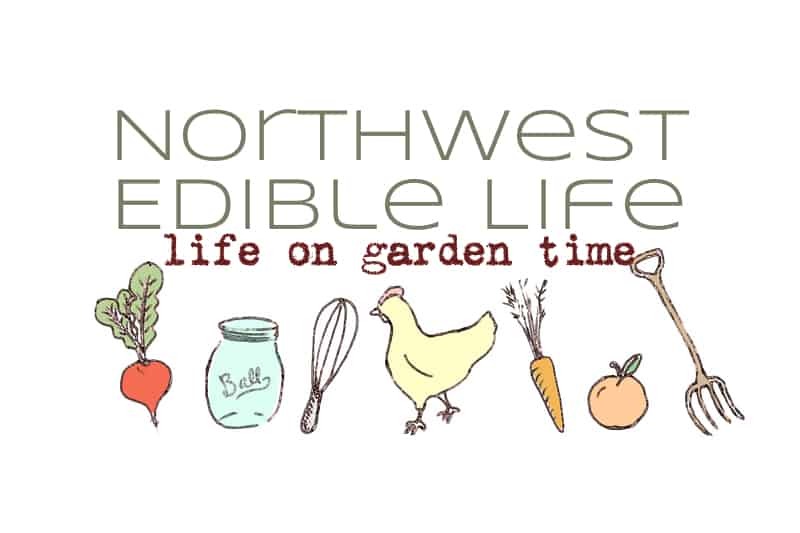 So, I was going to pull together the monthly gardening checklist (“To Do In The Northwest Edible Garden: October”) but frankly, I don’t have it in me. Here’s the short version: cover crop, plant garlic, research season extension techniques. There ya go. If little man will allow it (he won’t) I’ll spend as much of the day as possible (maybe 6 or 7 minutes) on the couch, reading. I just picked up my copy of M.F.K. Fisher’s The Art of Eating again and opened to How To Cook A Wolf. Man, what beautiful writing. Fisher’s prose has just enough cynical humor to highlight the thoughtful hopefulness of her words. The Wolf she speaks of is hunger, rapping at the door during WWII food rationing. The book looks at home economy, frugal eating and dollar stretching in a way that Fisher herself describes as quaint in the post-War years. But I don’t think How To Cook A Wolf is quaint. On the contrary. I think it remains highly relevant in a modern economy of rising food prices and beshortened time. Regular readers know that I love Harriet Fasenfest’s radical homemaker manifesto, The Householder’s Guide To The Universe. If you are familiar with that book, it has much in common with How To Cook A Wolf. In fact, for readers who are familiar with one read but not the other, it might help to think of Householder’s Guide as a kind of springier, modern-day grand-daughter to the M.F.K. Fisher classic. They are very much in a similar vein. Well, that’s it for me. Off to try and sleep. Tomorrow, perchance to read. Do you have any favorite sick day on-the-couch reads? Never read M.F.K. Fisher, but I’m almost done with Tamar Adler’s “An Everlasting Meal”, which quotes Fisher more than anyone else. An excellent read if you aren’t familiar with it. You probably won’t learn as much as I did from it given that you’re culinary trained and a lot further down the radical homemaker path than I am, but quite a few parts of it were interesting.